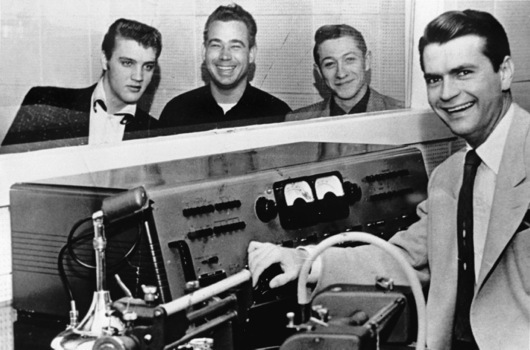 Sam Phillips was clearly an important figure in the early career of Elvis Presley. However, the passage of years inevitably resulted in some conflicting memories and interpretations among the handful of witnesses present in the small Memphis studio when Elvis recorded his first records in 1954 and 1955. A shadowy dividing line between legend and reality made the extent of Sam Phillips’ influence on the young Elvis a matter of debate. Now, however, a recently published comprehensive biography of Phillips sheds new light on not only his activities but also, more importantly, his motivations while working with Presley during those two critical years. 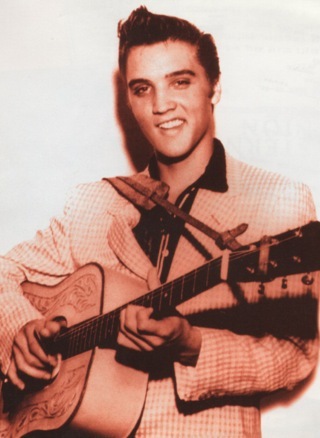 What happened that night in Sam’s tiny studio launched Elvis Presley’s career. Would Elvis still have made it without Sam Phillips giving him that first opportunity? Possibly. But it’s very possible, too, that the world outside Memphis would never have known the name “Elvis Presley” had Sam not acted on his instinct at that critical moment. When Sam told Scotty he wanted him and Bill Black to come in for Elvis’s audition, Scotty asked if Sam wanted them to bring their band, The Starlight Wranglers. Sam responded, “Just you and Bill, just something for a little rhythm.” Scotty and Bill were not great musicians, but Sam knew what he was doing in choosing them. In Elvis, Sam saw a boy of 19, low in confidence and high in insecurity. He knew Scotty and Bill would be sidekicks whose loose demeanors would be a calming influence on Elvis. The trio worked well together in the studio and on the road throughout Elvis’s rise to fame, until a breakup over money occurred in 1957. During all of Elvis’s recording sessions in Sam’s studio in 1954 and 1955, Sam directed the musicians with a calm hand, while encouraging them to work hard to get results. 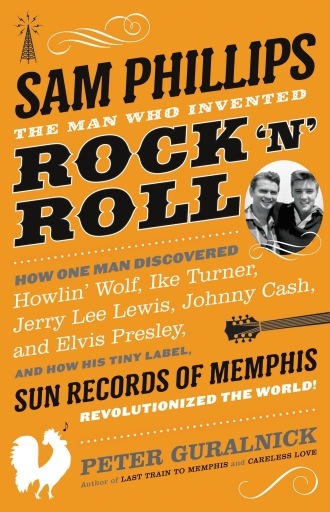 Sam had been producing records for his Sun label for over three years before Presley walked in the door, and he had developed a style that worked for him. Sam had one overriding objective for every record he produced—the experience should be fun. “Every time we did a number, I wanted to make sure to the best of my ability that everybody enjoyed it,” he explained. If the mood were right, though, Sam pressed the trio to work hard, says Guralnick. When the Sun single of “That’s All Right” and “Blue Moon of Kentucky” came out in July 1954, it quickly became the best selling record Sam had ever released. “It was as if he had been caught up in a whirlwind,” noted Guralnick. “He put every penny, every ounce of energy he had into the record.” Sam went out on the road to pitch the record to radio stations in neighboring states, without much luck at first. He worked his connections in Nashville to get Elvis an appearance on The Grand Ole Opry, just so he could say the boy had worked country music’s greatest stage. Sam Phillips released five Presley singles on his Sun label in 1954 and 1955. Today all five are considered classic two-sided records. 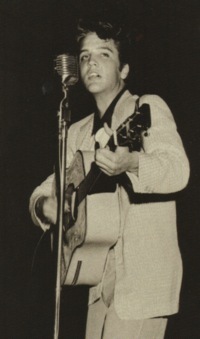 The two titles on the first single, “That’s All Right” and “Blue Moon of Kentucky,” were chosen spontaneously in studio by Elvis and Bill Black. The other eight songs that appeared on the following four Sun singles were brought to the studio by Sam Phillips. Sam was angry at first, partly because he couldn’t stand Tom Parker. But he knew this was the only way to keep his company going. Desperately needing an influx of cash, he called Parker and set the price for Elvis’s contract at $35,000, plus $5,000 to pay Elvis for back record royalties. 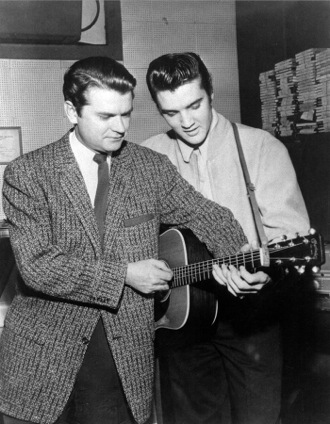 Parker got RCA to pony up the money, and Sam Phillips officially severed his ties with Elvis Presley during a ceremony in the Sun studio on November 21, 1955.